This article explores the pedagogical goals and student artifacts from a first-year composition course that provides students the opportunity to analyze interactive technologies—including video games—as rhetorical texts. As an approach to teaching digital literacy and multimodal composition, this course addresses the question of how to teach students to analyze not only the content of new media, but also how the design of social media platforms and video game mechanics persuade users to act and understand in circumscribed ways. More specifically, this article describes the process of assigning students a video essay project that requires them to articulate and defend a sustained argument about how a video game represents nonhuman animals. As a multimodal medium, video essays can provide a record of interaction between students and human-to-software interfaces, including video games. By analyzing how and why video games afford possibilities for interaction with virtual animals, the student artifacts examined here demonstrate students’ recognition that interfaces are constructed to achieve rhetorical ends. It is my intent that such recognition serves as a gateway for students to begin approaching everyday texts as rhetorical, that is, as working to incline them to persuasion and, by extension, certain patterns of thinking and behaving. I teach a first-year, multimodal composition course at the Georgia Institute of Technology themed around interactions between animals and technology. I titled the course “Technocritters, or Animals and/as Technology.” Broadly, the course aims to develop students’ skills in multimodal communication (including written, visual, oral, nonverbal, and electronic communication) through an emphasis on process and rhetoric. As the second course in Georgia Tech’s two-semester first-year composition sequence, students should arrive in my course having been introduced to basic rhetorical concepts and strategies for effective communication. One of the “animals and/as technology” theme-related areas we study is the impact of new media on representations of animals. We ask questions such as: When and why does new media represent animals? How do the social media interfaces we use to access and share images of animals shape our understanding of them as food, pets, or pests? For a STEM-focused institution like Georgia Tech, many of the first-year students I encounter plan to study in fields that will require that they utilize existing technologies and engineer new interactive computer systems for both specialized and public audiences. Consequentially, a course themed partially around a rhetorical analysis of computer-mediated communication helps increase engagement in a course students widely regard as “required” but not desired. Further, digital literacy skills are increasingly essential for all first-year college students, particularly given the near-ubiquity of interactive technologies in students’ academic, workplace, and recreational lives. Even writing programs and composition courses that prioritize traditional genres of academic writing must take notice of the rapidly growing rhetorical influence of new media on students learning to write, read, and think in the twenty-first century. At the beginning of each section of this course, I take an informal survey to learn a little about students’ personal histories, including their personal experiences with animals. As a group, we establish students’ prior knowledge about animals as a baseline for their exploration of animals in new media. Such a baseline enables us to raise questions such as: To what extent do animals in new media challenge or reinforce my previous assumptions about how animals look, move, think, and feel? How can and should humans interact with them? What are animals “for”? Almost all students enter my courses having had experiences with animals typical for young adults from non-rural areas of America. That is, few have first-hand experience with animals beyond their family dog or cat. Between two and three students may have experience riding horses, hunting deer or small game animals, or tending to farmed animals. Nearly all students have visited at least one zoo or amusement park that displays captive animals. Several students (between 4-5 each semester out of 75) have worked with or are currently working with animals in a laboratory setting: always mice. Finally, very few students—roughly three out of 75 every semester—identify as vegetarian or vegan. Therefore, most students are familiar with animals as products for consumption, even though, by students’ own admission, they do not readily make the association between the sliced meat on their lunch plates and animals. Developing students’ digital literacy additionally requires that students consider how computer interfaces facilitate and constrain the actions they perform in digital environments. My use of the term “interface” refers to the programs (such as applications and software) and hardware (including a mouse, keyboard, and display screen) that enable interaction between computers and people (rendered through said interaction as “users” or, for video games, as “players”). 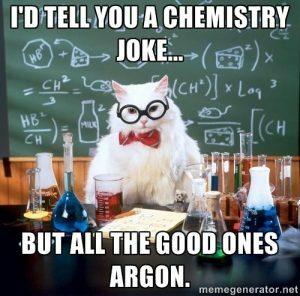 When it comes to a rhetorical study of new media, students must consider not only the content of new media (the memes themselves), but also the means through which such content is disseminated (interfaces that include but are not limited to those of social media). Because the interfaces of social media make sharing content easy, for example, students are likely to consider the act of “liking,” “retweeting,” or “upvoting” a piece of internet content “mundane and routine” and, by extension, inconsequential (Warren-Riley and Hurley 2017). To challenge the notion that the act of sharing content online is meaningless, we might ask students: what is the relationship between the popularity of animal images on the internet and the ease with which we share those images? The pervasive tendency for humans to project meaning onto animals’ often inscrutable behaviors and expressions works in tandem with the seeming effortlessness involved in sharing content on social media platforms. Joseph Anderton (2016) advocates for such a contextual assessment of internet memes, writing that the meme’s “ability to pervade privy groups cements non/human animals in facetious material and renders them vacuous figureheads subsidiary to human meanings” (142). That is, the represented animal, rather than the meme itself, is rendered vacuous by the form’s popularity across web platforms. Memed animals become flexible signifiers for a range of human expressions and desires, a flexibility that advances an understanding of animals as a kind of bare material upon which human meanings can be inscribed. Here, the ease of sharing content online encourages the proliferation of texts and genres with highly malleable semiotic potential. 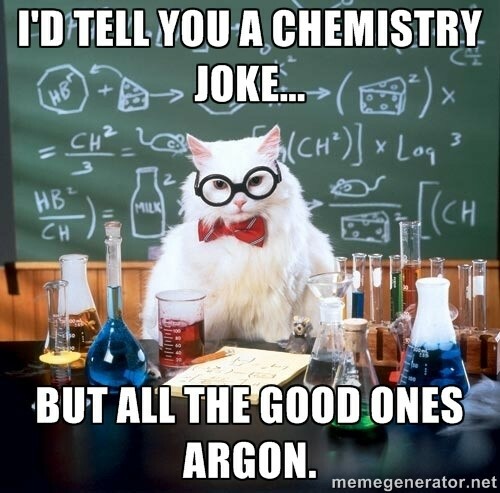 This example of the “Chemistry Cat” meme demonstrates how cultural values and assumptions inform animal memes. 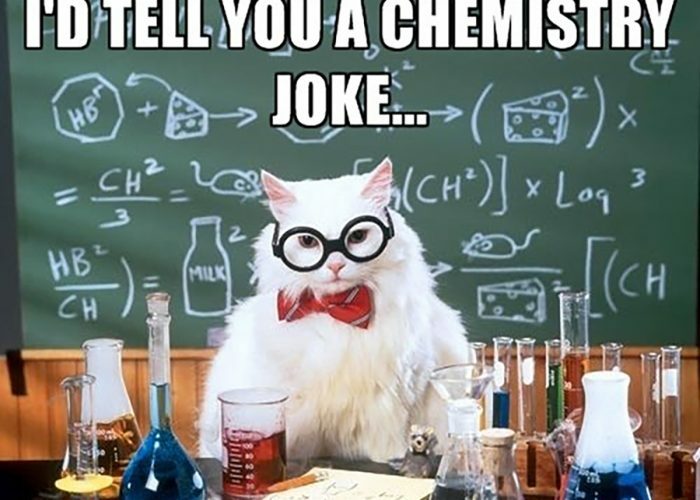 For example, the cat’s white fur resembles a white lab coat, her glasses serve as a cultural signifier of intelligence, and her bow tie implies the traditional representation of men as scientists. Teachers of digital literacy and rhetoric are therefore faced with a two-part challenge. First, students must learn to recognize how new media representations, such as the cat in the cat meme, reinforce variable—that is, both prevailing and niche—cultural values. Second, students must learn to recognize and consider how the interfaces that enable the circulation and popularization of certain representations are themselves built to encourage and facilitate a particular set of user actions. Asking students to consider how interfaces encourage, facilitate, or reward certain user actions and behaviors enables them to perceive interfaces as rhetorical. The range of social media platforms that students interact with every day can serve as a reliable starting place for students to begin this process of recognition. I have found, for example, that students are quick to recognize how social media platforms encourage users’ public affirmation of posted content (via the “like” function on Instagram) as well as the broader sharing of that content (such as “retweets” on Twitter). Students’ examination of how they interact with computer interfaces should not and cannot end with a consideration of social media, however. Computer interfaces endeavor to conceal their function as rhetorical texts, that is, their own status as persuasive tools that influence user behavior. As Lori Emerson (2014) underscores, “interfaces themselves and therefore their constraints are becoming ever more difficult to perceive” as contemporary technology seduces us with feats that seem at once “wondrous” and magical (x). To be sure, the range of interfaces with which students interact on a daily basis are varied and quickly changing. Many college students own at least one if not multiple personal computers (including laptops, tablets, and smartphones) for both academic and recreational use, and their experience of those interfaces—except, perhaps, when they fail to work seamlessly—are likely to go largely without much or any critical inspection. Teena Carnegie (2009) argues that teachers and students of writing must learn to talk about the often invisible or “natural”-seeming work of interfaces (166). For Carnegie, as interfaces work continually to engage the audience through interaction, they create “higher levels of acceptance in the user,” acceptance that leads to the increased invisibility of the interface itself (171). In consequence, increasingly taken-for-granted interfaces make users more susceptible to persuasion and more likely to “accept the messages contained within the content, to continue to use a particular site, or to perform certain actions” (171-2). To my mind, that interfaces both render themselves invisible and dispose users to accept messages make the study of the rhetorical work of interfaces essential to developing students’ digital literacy. A video essay project like the one I assign in my multimodal composition courses presents not only an opportunity for students to practice strategies of analysis and argumentation, but also the opportunity to reflect on how software interfaces ask them to behave. Like written essays, video essays should make a clear argument. Additionally, video essay creators must consider how audible and visual registers reinforce, elaborate on, conflict with, or distract viewers from the essay’s argument. Therefore, successful video essays take seriously how the combination of moving images, still images, oral narration, and a revised, written script can work together to facilitate audience comprehension. Moreover, assigning students a video essay project provides one way for them to practice composing in all of the modes of communication. As a form, video essays are particularly popular as an emergent form of film criticism. Rather than rely on written descriptions or even screenshots of filmic features, film critics increasingly turn to video essays for their ability to present for analysis the complex visual and nonverbal features in films, features that include lighting, shot design, sound, and costume. To show students the wide range of approaches to video essay design that critics take, I offer them writer Conor Bateman’s “The Video Essay as Art: 11 Ways to Make a Video Essay,” a brief, introductory text useful for its discussion of varied video essay forms as the vlog, scene breakdown, and desktop video. Then, to demonstrate how digital media critics have turned to the video essay for the purposes of making arguments supported by visual evidence and gameplay analysis, I refer to Anita Sarkeesian’s series “Tropes vs Women in Video Games” on the website Feminist Frequency. Thanks to screen-capture software (including free tools such as Open Broadcaster Software), students can record particular moments of interaction between themselves and software interfaces for later use in video essay arguments. After recording, students can review their documented interactions and analyze them. To be clear, the aspect of the video essay project that requires students to record their interactions is, to my mind, essential. The process of recording footage for the video essay and then constructing an argument using that footage asks students to critically assess how software interfaces incline them to behave in particular (and variously circumscribed) ways. The process of recording, reviewing, and analyzing also has the effect of making students more interface-savvy. That is, after recording their actions in one interface, they may become more likely to reflect on how their actions in other systems could undergo similar analysis. Video games as persuasive texts lend themselves well to student analysis of the often hidden rhetorical implications of software interfaces. More explicitly than the social media interfaces mentioned above, video games as software ask players to behave according to a set of rules or constraints in order to advance or “win.” Relevant to the “animals and/as technology” theme of my course, video games present strong arguments for how players should interact with and, by extension, regard the animals they encounter within game worlds. In response, I ask students to explore how players can interact with animals in games as a means to uncover the implicit or explicit arguments video games make about human-animal relationships. For example, students raise questions such as: what forms of interaction between humans and animals does the game afford me, the player? How easy does the game make it for the player to facilitate that interaction? Is the interaction sustained, or brief? What is that animal’s function in relationship to the player and/or to the game’s narrative? Is the player required to kill or otherwise manipulate the animal to proceed with the game? Can the player mount the animal and use it as a form of transportation or to enhance the player-character’s mobility? Can the player take the role of an animal by guiding it in the first person (as in simulator games)? When the player assumes the role of an animal, what abilities does the animal have? Do the rules of the game change when a player inhabits the role of an animal? These questions encourage students to consider how the interactive possibilities between player and virtual animals reproduce or challenge pre-existing assumptions about animals in industrialized societies. As Adam Brown and Deb Waterhouse-Watson (2016) remind us, “To varying degrees (but always to some extent), human beings learn about other animals through the symbolic status attributed to them through cultural products, and this frequently involves the naturalization of anthropocentrism.” Anthropocentrism, or the human tendency to privilege the wants and needs of Homo sapiens above the wants and needs of all other forms of life, certainly informs the design of many video games. However, playing video games does not always necessitate that players passively accept anthropocentric interactions with animals as an inevitable requirement for play. With his concept of “procedural rhetoric,” Ian Bogost provides a precise term for how video games encourage (while often allowing for degrees of freedom to resist) a particular manner of interaction between player and game world. For Bogost, “video games can make claims about the world. But when they do so, they do it not with oral speech, nor in writing, nor even with images. Rather, video games make argument with processes. Procedural rhetoric is the practice of effective persuasion and expression using processes” (Bogost 2008, 125). Processes comprise the rule-based systems by which games as computer software unfold as well as the rules that constrain the actions of players. Asking about the “rules of the game” or how and why a game constrains and incentivizes player interactions with particular game features attunes students to the ways games-as-interfaces construct rhetorical arguments. Before we begin playing games and analyzing the arguments they make, I provide students with an illustrative model of academic video game criticism: Gary Walsh’s (2014) article “Taming the Monster: Violence, Spectacle, and the Virtual Animal.” By seeing video game criticism in action, students recognize that their video essay projects can contribute to a visible, existing conversation in humanities disciplines. Walsh argues that “videogames create a space in which virtually anyone can commit acts of violence without being registered as such,” that video games be read as opportunities for players to subject animals to violence and to read their own actions as strictly entertainment (22). Many students initially resist Walsh’s argument. Their inclination is to dismiss the implications of game processes that reward violent interactions with nonhuman animals, suggesting instead that games are unworthy of the careful scrutiny provided more transparently rhetorical texts. Indeed, the phrase “But it’s just a game” circulates during the session we consider Walsh’s work. Working through Walsh’s essay, I urge students to examine their reluctance to 1) read video games as argumentative, and 2) consider their actions as players as participating in an argument constructed by interface with a set of game rules. With students, I ask: why does the pleasure we take in video games’ fantasy spaces preclude a critical examination of the way games rely on existing ideologies and ways of interacting between humans and animals? To give students practice formulating critical questions about games’ rhetorical choices while also thinking about how games ask them to behave as players, I require students to play a series of free-to-play games that involve animals. Asking students to play a set of preselected games prior to their in-depth interrogation of a single game for their video essays serves two important instructional purposes. First, these games help familiarize students with common video game genre conventions. One represents a “casual game”; another lets us explore the conventions of the “first-person shooter.” By introducing students to some of the basic video game genres, even students relatively unfamiliar with game genre conventions can draw on their experiences playing these free games as a foundation for the more sustained rhetorical analysis of game conventions and rules that they undertake soon afterward. Second, I select the initial games students play because of the illustrative way each game represents animals. Rather than offer complex representations, these games are simple both in terms of controls and argument, making them excellent starting points for a more in-depth interrogation of how games make claims about animals. For example, one of the free games I ask students to play, Linksolutions’ Pets Fun House, represents a “casual” game in which players assume the role of a new pet shop manager. Pets Fun House asks players to feed, water, and clean up after an expanding collection of dogs and cats with the objective of selling those pets to impatient shop customers. As the game proceeds, players’ in-game profits can purchase increasingly larger shop facilities and a wider range of dog and cat breeds to exchange for additional profits. After playing Pets Fun House, I can reliably anticipate that students will respond eagerly to the question: “What argument does this game make about animals?” That is, after playing the game, students identify, at minimum, that 1) Pets Fun House reduces animals to commodities, and 2) Pets Fun House simplifies the needs of companion species, the player needing only to click once per creature to alleviate hunger, thirst, and waste (the three needs that must be satisfied to successfully prepare the animals for sale). In another of the free games I require students play, DroidCool.com’s Deer Hunter 3D (2015), students become acquainted with the genre of the first-person hunting simulator. In this game, players must shoot an increasing number of deer before time runs out in order to proceed to the next level. Each deer in the game looks and behaves identically to every other deer: they pace across the screen and remain blissfully unaware of the player’s approach. The game’s simplified representation of deer appearance and behavior prompts students to identify that this game promotes the idea that animals are repetitive, instinctual machines. Further, since the player must slay as many deer as possible within a narrowing time frame in order to proceed to the next level, students quickly see how the game’s deer have a single purpose: to “die.” The game portrays its animals not only as machinic obstacles to overcome, but also as morally and physically simple to eradicate. Here, the simplicity of the game’s interface—point and click to shoot without the need to reload or take cover in features of the landscape—implies that the act of killing deer is both easy and straightforward and, consequently, does not require player reflection. As we saw with animal memes, the ease with which video games as interfaces can make an action possible—here, the ease with which Deer Hunter 3D makes it possible for a player to kill deer—is instructive for students as they consider the rhetorical work of interfaces in general. For the image-based version of the video essay project assignment sheet, please click here. 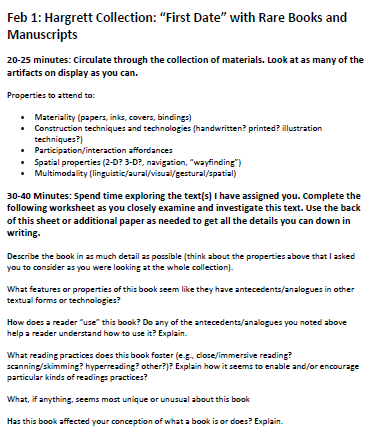 For a text-only version of the assignment sheet, please click here. The student artifacts included below comprise a representative sample of the video essay projects students submitted during the past two semesters of this course. Briefly, this project requires students collaborate in groups of 4-5 members each and choose a Steam-based video game to analyze from a list of games I briefly pre-screen for cost and content. Assigning a game available through Steam, a game distribution platform for personal computers, streamlines the requirement that students record their gameplay. Additionally, I tell students that their video essays should not “review” their chosen game. Rather, their video essays should analyze the game’s rhetoric and make an argument about how the game represents animals. Importantly, I require that students compose their video essay projects for a public audience: students must upload their completed video essays to YouTube and list them as “public.” This requirement has two important pedagogical benefits. First, composing for a public audience allows students to become active knowledge producers, not simply passive consumers. That is, public video essays enable students to contribute their voices, interests, and, by the end of the process of analysis, expertise to an existing network of positions and ideas. Second, I find that students not only produce better work when composing for outside-the-class audiences, but also make more connections between the work we do in the classroom and communication practices in the “real world” when required to produce public-facing work. They see how the work of rhetorical analysis, for example, can influence and inform others. Centrally, a public-facing project teaches students a fundamental concept like the rhetorical situation by providing them a “real” audience to persuade. By latching on to these creatures, you can take control of their actions and use their bodies to your own benefit…The animal gives up its autonomy…establishing a hierarchical relationship…By riding these creatures, you create temporary and superficial bonds that disappear once you let go. This piece of analysis demonstrates the thoughtful associations that students developing digital literacy skills can establish between game interfaces and game arguments. Specifically, students here articulate their perception of a link between the interface-afforded opportunity to “ride” animals in the game and the “hierarchical relationship” between human character and nonhuman animal such a rule implies. Mairead Gawryszewski, Carlos Gabriel Velazquez Sierra, and three anonymous students created Essay I. In Clip I, students explain how Might and Delight’s 2013 game Shelter restricts player movement to incline players to think about the badger cubs placed in their care. This clip shows not only students’ rhetorical awareness (insofar as they address audience members directly by telling them which visual features of their gameplay footage to pay attention to), but also their astute attention to the relationship between the rules of the game and how those rules persuade players to feel a certain way: in this case, to invest emotionally in the badger cubs. Dylan Pirro, James Forsmo, and three anonymous students created Clip I. Many of the most effective multimodal arguments take seriously what a given medium affords in terms of opportunities for persuasion. Throughout Essay II, students use a combination of gameplay footage, video, and overlaid graphics to enhance their argument about how the visual and mechanical simplicity of Chris Chung’s 2013 game Catlateral Damage creates a fantasy of carefree nonhuman embodiment for the player. A particularly rich example takes place during 3:39 and 4:25 of Essay II. Here, students demonstrate their understanding that showing an image of a “cockroach” and “spider” followed by a series of clips of house cats provides a visceral visual reminder that we very often value the lives of (cute) animals over others. Such a difference in species’ implicit value, students claim, is central to the lack of a death mechanic in Catlateral Damage, a game they claim is largely about causing destruction with no fear of consequences. Joo Won (Michael) Lee, Ryan Pickart, Matthew G. Weissel, and two anonymous students created Essay II. As a final example, Essay III demonstrates students’ recognition that games can make culturally-specific arguments. Throughout Essay III, students analyzed how developer Upper One Games translated interactions between indigenous Iñupiaq culture and nonhuman animals into the game interface of Never Alone (2014). Students saw such translation occur through what they termed the “equal but different” representation of the game’s human and fox protagonists. From 5:35 to 6:59, Essay III provides a particularly astute analysis of how game mechanics can construct one argument while a game’s narrative can construct another, contradictory argument. Maya Flores, So-Ying Ester Chang, Kia Clennon, and Elizabeth Stephens created Essay III. Despite the success of many of the video essays I received, issues that teachers of persuasive writing will be familiar with still persisted in some cases. For example, some essays did not provide sufficient evidence to support students’ claims. In other essays, students failed to articulate a clear and straightforward argument. Moreover, it is worth pointing out the ample hardware and software resources available to students at Georgia Tech as they play their games, record their footage and narration, and edit their essays. I recognize that such resources are far from universally available. Even with these challenges in mind, I am encouraged by the work students have accomplished in these video essays, and I will continue to adapt this project to help students analyze other forms of interactive technology in the future. Looking back at the results of the informal survey I administer to assess students’ familiarity with animals, I am impressed by the wide range of interpretations students developed in their video essays, interpretations unlikely to have emerged from attempts to simply apply their prior knowledge of human-animal relationships. Richard Colby, Matthew S. S. Johnson, and Rebekah Shultz Colby (2013) suggest that video games constitute “exemplar multimodal texts, aligning word, image, and sound with rules and operations constrained by computer technologies but composed by teams of writers, designers, and artists to persuade and entertain” (4). Even so, after analyzing survey data of texts selected by writing teachers for use in writing courses, Johnson and Richard Colby (2013) found that “video games are…neglected as texts to be analyzed” despite statistics that show “the sheer number of gamers and the magnitude of the game industry” (87). By bringing video games into the first-year composition classroom, I witnessed students moving away from their initial impulse to regard everyday texts as innocent and undeserving of critical inspection. An overwhelming majority of essays showed students performing thoughtful, in-depth analyses of texts with rhetorical content that once seemed invisible. As regards nonhuman animals, too, an examination of video games may train students to consider their acts of “interfacing” with animals both virtual and actual as worthy of curiosity and reflection, especially if a particular form of interaction seems only natural. Anderton, Joseph. 2016. “Cyberbeasts: Substitution and Trivialization of the Animal in Social Media, Memes and Video Games.” In Screening the Non/Human: Representations of Animal Others in the Media, edited by Joe Leeson-Schatz and Amber George. New York: Lexington. Bogost, Ian. 2008. “The Rhetoric of Video Games.” In The Ecology of Games: Connecting Youth, Games, and Learning, 117–40. Cambridge, MA: The MIT Press. Brown, Adam, and Deb Waterhouse-Watson. 2016. “Playing with Other(ed) Species: Games, Representation, and Nonhuman Animals.” Ctrl-Z: New Media Philosophy, no. 6. Colby, Richard, Matthew S. S. Johnson, and Rebekah Shultz Colby. 2013. “Introduction: Rhetoric/Composition/Play through Video Games.” In Rhetoric/Composition/Play through Video Games: Reshaping Theory and Practice of Writing, 1–8. New York, NY: Palgrave Macmillan. DroidCool.com. (2015). Deer Hunter 3D. Emerson, Lori. 2014. Reading Writing Interfaces: From the Digital to the Bookbound. Minneapolis: U of Minnesota P.
Johnson, Matthew S. S., and Richard Colby. 2013. “Ludic Snags.” In Rhetoric/Composition/Play through Video Games: Reshaping Theory and Practice of Writing, edited by Richard Colby, Matthew S. S. Johnson, and Rebekah Shultz Colby, 83–98. New York, NY: Palgrave Macmillan. Teena A. M., Carnegie. 2009. “Interface as Exordium: The Rhetoric of Interactivity.” Computers and Composition 28 (2):164–73. Walsh, Gary. 2014. 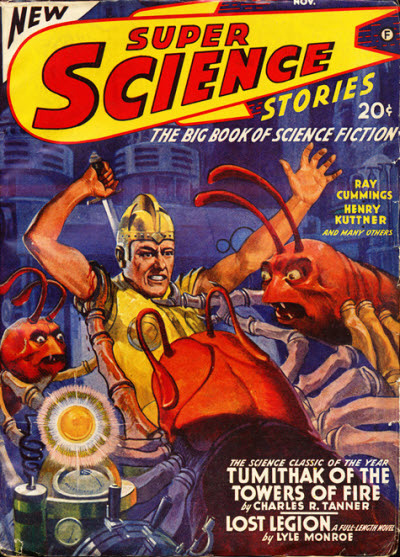 “Taming the Monster: Violence, Spectacle, and the Virtual Animal.” Antennae: The Journal of Nature in Visual Culture, no. 30 (Winter): 21–34. Warren-Riley, Sarah, and Elise Verzosa Hurley. 2017. “Multimodal Pedagogical Approaches to Public Writing: Digital Media Advocacy and Mundane Texts.” Composition Forum 36. The data referenced here represents survey results that I collected informally. I anticipate and address students’ potential privacy concerns and hesitation to share their work in three ways. First, within the first week of the course, I ask that students sign a “Statement of Understanding,” a brief form in which they disclose if they feel comfortable with me referencing their work in print or electronic publications and how they want to be credited (either by name or anonymously) if they do permit me to reference their work. A sample Statement of Understanding can be viewed by following this link to the course syllabus and scrolling to the bottom of the document. Second, the course syllabus includes a “Public Nature of the Course” clause that informs students that most of their work for the course—including drafts prepared for peer review, in-class presentations of their work, and digital sharing—should be composed with a larger audience (that is, an audience not exclusive to their professor and themselves) in mind. As part of this clause, I emphasize that students’ grades will never be made public. The syllabus linked above contains the “Public Nature of the Course” clause. Finally, I provide students a range of options for posting their work to YouTube. Even though their work remains visible and shareable on this platform, they can choose some combination of the following, privacy-assuring precautions: they can 1) remove all references to their names, 2) “unlist” their video, or make their video undiscoverable by in-site searches, and/or 3) disable comments in YouTube. Perhaps surprisingly, many students want to be credited by name for their work and are excited to share their work with others. Others take comfort in anonymity while still fulfilling the course objectives and seeing how others respond to their efforts via peer review and questions from their classmates. Christina M. Colvin is currently a Brittain Postdoctoral Fellow at the Georgia Institute of Technology. There, she teaches courses in multimodal composition that emphasize digital rhetoric. Her research focuses on American literature, new media, animal studies, and ecocriticism. How can we use digital technologies and pedagogies to foster students’ development as digitally literate researchers? We examine an undergraduate course on new information technologies for which we developed a research journal assignment aimed to develop students’ digital literacies. We conducted a qualitative analysis of students’ research journals as they investigated global internet censorship. Our study contributes to growing interest in digital literacies and how to shape learning opportunities to promote students’ identities as digitally literate researchers and citizens. Information pollution, information overload, and infoglut are some of the most common terms used to describe the “almost infinite abundance” and “surging volume” of information that “floods” and “swamps” us daily (Hemp 2009). Popular media articles appear regularly offering tips and strategies to “cope with,” “conquer,” and even “recover” from information overload (e.g., Harness 2015; Shin 2014; Tattersall 2015). Information Fatigue Syndrome, a term coined in 1996, refers to the stress and exhaustion caused by a constant bombardment of data (Vulliamy 1996). In Data Smog: Surviving the Information Glut, David Shenk (1997) argues that the surplus of information doesn’t enhance our lives, but instead undermines and overwhelms us to the point of anxiety and indecision. According to research conducted by Project Information Literacy researchers, “it turns out that students are poorly trained in college to effectively navigate the internet’s indiscriminate glut of information” (Head and Wihbey 2014, para. 7). The study presented here emerged from “New Information Technologies,” an undergraduate course in the media and communication department at a small, private, liberal arts college in the northeast United States. The course introduced students to key concepts and tools for thinking critically about new information technology and what it means to live in a digital, global society. Course goals underscored the importance of developing students’ capacities as digitally literate learners and citizens of a global network society. We intentionally articulated course learning goals around both the content area and the practices of digital literacy embedded in course assignments. We asked students to reflectively discover, organize, analyze, create, and share information using digital tools. Our aim was to empower students with the tools and abilities to thrive in the information ecosystem as both consumers and producers, rather than flounder in information overload. We wanted students to experience research as active agents driving the process through their choices and attitudes. With these broad framing objectives in mind, we developed a multiphase research assignment called the Internet Censorship Project. In this article, we detail our collaborative development of the Internet Censorship Project assignment and discuss a qualitative analysis of the resulting student work. In our analysis, we focus in particular on students’ engagement in and reflection on the research process and their agency and identity therein. Our close look at the assignment and student learning offers an opportunity to consider the possibilities of integrating digital tools and pedagogies to deepen students’ digital literacy in the context of liberal arts education. This course provided ideal opportunities for collaboration between an information literacy librarian and a media and communication professor with shared interests in digital literacy. Our respective disciplines have a common concern for digital literacy, although we often describe and approach the concept in distinct ways. The library and information science field typically uses the term “information literacy,” while media and communication studies uses “media literacy.” The Association of College and Research Libraries (2016) defines information literacy as “the set of integrated abilities encompassing the reflective discovery of information, the understanding of how information is produced and valued, and the use of information in creating new knowledge and participating ethically in communities of learning” (3). Media literacy, as defined by the National Association for Media Literacy Education (2017), is “the ability to access, analyze, evaluate, create and act using all forms of communication. In its simplest terms, media literacy builds upon the foundation of traditional literacy and offers new forms of reading and writing. Media literacy empowers people to be critical thinkers and makers, effective communicators and active citizens.” We find common ground in these definitions and the values they convey, especially in the degree to which both disciplines prioritize critical thinking about and active engagement with information. In this paper, we invoke a shared definition of digital literacy, referring to the practices, abilities, and identities around the uses and production of information in digital forms. Our respective understandings of digital literacy have evolved through extensive and ongoing collaboration with each other and with students. Our disciplines both recognize that definitions of literacies are shifting in the digital environment. One premise of our work is that digital technologies afford new possibilities for collaboration across disciplines and fields. We believe that digital teaching and learning benefit from, if not require, connecting diverse ways of knowing. Digital learning emphasizes connectivity and so we have designed our teaching approach to model the same. The Internet Censorship Project required students working in pairs or small groups to investigate the state of internet censorship and surveillance in different countries. The project extended across four weeks in the latter half of the semester. Students shared their research findings in culminating in-class presentations. The entire process was designed to encourage students to link their critical theoretical understanding with digital literacy practices. We purposefully integrated digital tools and pedagogies throughout the assignment to help students move beyond only amassing and describing sources to higher order research activities and more advanced digital literacy behaviors and attitudes. Our first implementation of this assignment in fall 2013 revealed some of the general challenges of asking students to critically engage with information. Students tended to gather large amounts of information and dump it into their work without clear purpose or analysis. Ultimately, this resulted in lackluster project presentations in which students’ facility with the mode of digital presentation (Prezi) was often more impressive than the story being shared. These issues are not unique to this assignment, course, or campus. Many educators have likely seen evidence of students’ struggles with “information dump.” Information dump demonstrates students have collected relevant data, but they are unable to present it logically or think about it critically and analytically. This challenge relates to larger issues with helping students develop and strengthen their research habits and abilities. There is often a wide gap between where students begin and where we want them to arrive with respect to information gathering, evaluation, analysis, and synthesis. They often do not successfully make the leap from one ledge to the other (Head 2013; Head and Eisenberg 2010). Frequently what seems to be missing is students’ engagement with research as a process and their critical reflection on that process. Among the many personal benefits students gain from research, they “learn tolerance for obstacles faced in the research process, how knowledge is constructed, independence, increased self-confidence, and a readiness for more demanding research” (Lopatto 2010). Participating in the research process also promotes students’ cognitive development, supporting their transition from novice to expert learners. Undergraduate research encourages students to exercise critical judgment and to make meaning of what they are learning. Such experiences help students construct a sense of themselves as researchers, gaining a sense of agency and ownership of the research process. If today’s students are “at sea in a deluge of data” (Head and Wihbey 2014), carefully crafted research assignments can help them acquire the skills and awareness that serve as life rafts and anchors. This kind of work presents opportunities to promote students’ metacognition, or awareness of and reflection on their thinking and learning (Livingston 1997). A metacognitive mindset can help students identify their research as a process in which they are located and over which they have agency. “Successfully developing a research plan, following it, and adapting to the challenges research presents require reflection on the part of the student about his or her own learning” (Carleton College 2010, para. 5). By reflecting on their steps and thinking, students can perhaps more easily recognize their choices and beliefs, enhance their ability to plan for and guide their learning, as well as adapt in the face of future challenges or new situations (Lovett 2008). “Seeing oneself as capable of making the crossing to a better understanding can be empowering and even exhilarating….The ability to manage transitional states might be, then, a transferrable learning experience, one that involves increasing self-knowledge and confidence” (Fister 2015, 6). Close review of Internet Censorship Project student learning outcomes in 2013 informed our revisions to the assignment in fall 2014. (See Appendix A for the assignment.) We strengthened the assignment by gearing it more toward process and reflection. Our goal was to better support students as they worked to bridge the gap, from start to finish, in their research knowledge and abilities. This time around, we emphasized steps within the research process and prioritized the development of critical and reflective thinking about information. We did this by redesigning the project phases and intentionally using carefully selected digital tools. In the first phase, student partners collaborated to select and organize research sources about internet censorship and surveillance in their selected countries. They used a collaborative, cloud-based word processing application (Google Docs) to gather and share information with each other as they discovered it, working both synchronously and asynchronously. Documents started as running lists of sources with links to original content, but were to evolve into meaningfully and logically organized and annotated texts that demonstrated critical thinking about sources. In fall 2014, we dedicated more in-class time modeling for students how documents might evolve beyond mere lists into collaborative space for organizing, summarizing, assessing, and interrogating information. We also integrated a crucial new element, a photo journal created in WordPress, into the assignment as a metacognitive bridge to support students’ development from information gathering to presentation. We selected WordPress for this activity for a number of reasons. On a practical level, we have a campus installation of WordPress and strong technology support for it. WordPress is easily customizable, extendable, and enables students to work with the various media types we sought to promote with the assignment. Just as importantly, using WordPress aligned with one of the underlying goals of the course to deepen students’ critical reflection of their own digital presence. We wanted them to gain experience working in a widely-adopted open source environment—approximately 25% of all websites that use a content management system run on WordPress (Lanaria 2015)—so that they might compare this platform to their experiences within commercial social media platforms. Overall, WordPress enabled us to provide students with hands-on experience as information producers that developed digital literacy practices that could serve them well beyond this assignment and course. The journal is your individual representation of the process as you experience and construct it. The Photo Journal is created in WordPress and includes photos, images, drawings, screenshots, and narrative text and captions that take the viewer behind the scenes of your research process. Think of this as “the making of” your project, uncovering the questions and thinking behind your project, and documents the “what, why, where, and how” of the research you are producing. What do you know about the topic? What do you want to know? Why does this source matter? What led you to this source? What questions does the source raise for you? How does the source contribute to other knowledge? What do you know now? What have you learned? We constructed the photo journal element to activate for students an attitude of critical engagement and a more reflective, metacognitive mindset (Fluk 2015). In documenting their research processes, the photo journal was intended to surface students’ thinking for both themselves and us as instructors. We wanted to promote their reflection on steps in the research process and, therefore, change and deepen that process. By modeling and scaffolding these behaviors and attitudes through the phases of the assignment, we hoped to move students progressively toward stronger engagement and understanding. Rather than drowning in information overload, we hoped to develop students’ sense of agency to be able to comprehend, communicate about, make meaning of, and reflect on their information consumption and production. By asking students to include images as representations of their research, we further hoped to make the research more visible as a process. Through our qualitative analysis of students’ photo journals in this case study, we attempt to better understand both the connections students make, as well as where they need help to bridge the gaps in their learning. Our case study explores how we can use digital technologies and digital pedagogy to better foster students’ development as digitally literate researchers. In this research, we look closely at student learning outcomes aligned with the digital literacy goals of the Internet Censorship Project. Collectively, the 17 students in fall 2014 generated 170 photo journal entries. Our data collection, coding, and analysis were conducted using Dedoose, a cloud-based platform for qualitative and mixed methods research with text, photos, and multimedia. The program enabled us to organize and code a large set of records. Each journal entry included a narrative update or reflection on students’ research and a related image. While designated a “photo journal,” students’ posts included a considerable amount of text that is central to this study. Our qualitative content analysis concentrated on students’ description of, and reflection on, their research sources and their research steps and behaviors. We also constructed a series of identity codes to indicate those instances where students self-consciously located themselves within their research and reflected on their research as practice. Students’ journals varied in depth, detail, and critical engagement. Two types of journals emerged clearly: robust and limited. In robust journals, students exhibited a general thoughtfulness and demonstrated a more expansive engagement with content of sources and process. Limited journals were generally more superficial and formulaic, focused primarily on content of sources rather than process. We assign these categories to help improve our pedagogy in order to advance student learning. 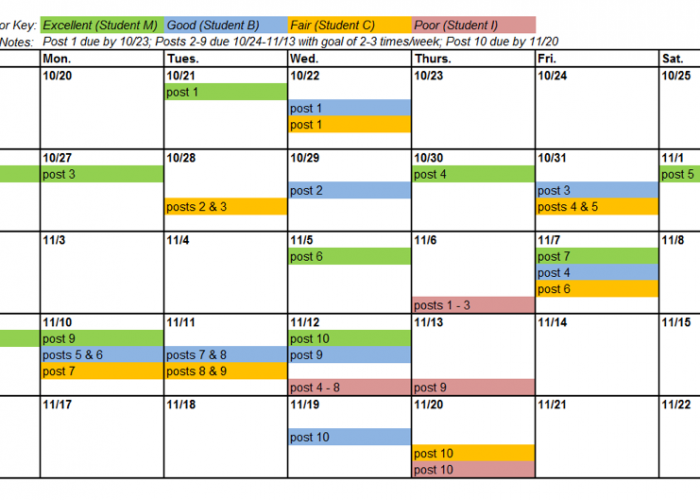 By requiring students to post consistently, we aimed to push them beyond their typical practices. We structured the experience so that students could aggregate and analyze information incrementally over time in order to develop more effective research habits—both attitudes and practices—and to avert information overload. We anticipated that students who worked steadily would have more opportunities for progressive development and reflection and therefore would engage more deeply and critically with the sources and the issues addressed in the assignment. We anticipated that students who worked inconsistently, by comparison, would be more likely to engage superficially and minimally achieve project learning goals. Our interest in “students’ engagement as reflected in project pacing,” then, refers both to the timing of students’ journal posts and the pace of students’ work on the project overall. 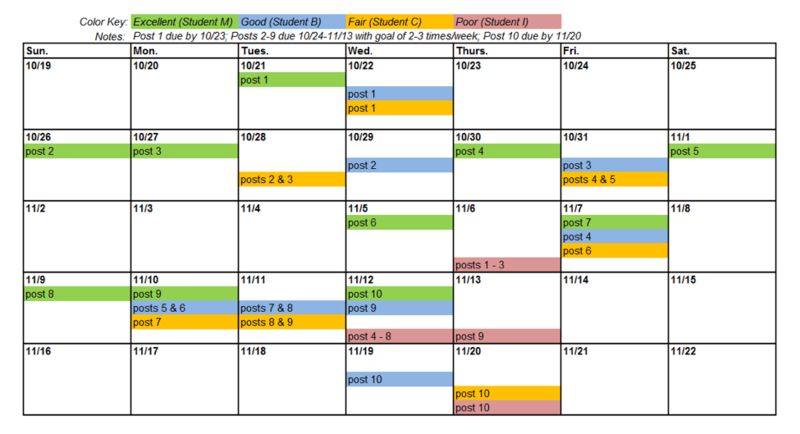 We characterized students’ journal pacing quality as excellent, good, fair, or poor. Excellent pacing described journals with posts spread evenly throughout the project. Good pacing described journals with posts occurring every week of the project, but with some posts closely grouped on consecutive days or even on the same day. Fair pacing denoted journals with some posts closely grouped on consecutive days or the same days and some multi-day or week-long stretches with no posts. Poor pacing referred to journals with posts primarily grouped on just a few consecutive days or the same days and no posts for long stretches of time. Robust journals were distributed evenly across all four pacing quality categories: two each in poor, fair, good, and excellent. Limited journals, though, were predominantly in the poor pacing category: seven poor, zero fair, one good, and one excellent. 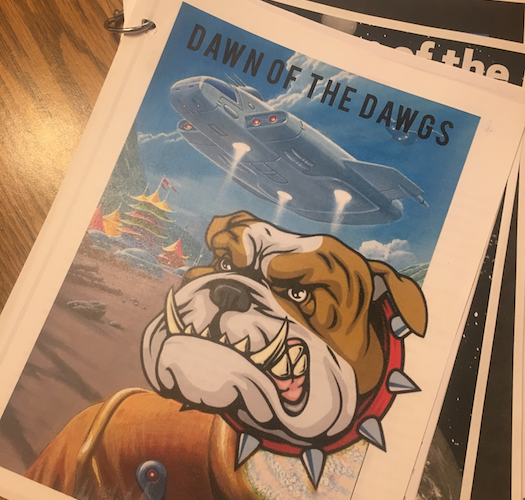 “The components of the project, the Google Doc, photo journal, and presentation, seemed to work well together to organize our thoughts and pace the research so we did not save it until the last minute. Even though it was a busy week for me, the way the project was set up was very helpful in facilitating the assignment. Articulating and modeling for students effective strategies for doing research over time can contribute to their success with organizing and processing large amounts of information, and help students to develop and sustain deeper engagement in their learning. Our assignment aimed to foster students’ metacognitive awareness of their research process which contributes to students’ learning and is essential to digital literacy. Unprompted, however, students often struggle to engage at this level of critical self-reflection. In our first attempt with this assignment, they tended to focus only on amassing and describing their sources, essentially information dump. We hoped that students’ journals, then, would provide visible evidence of their research processes in order to better understand and reflect on their steps and their thinking. By bringing the process to the surface, we hoped students’ attention would shift beyond just the what of the sources and toward the why and the how of their sources, choices, and processes for richer critical thinking. Therefore, our analysis of student journals naturally aligned into two major categories: content and process. Content codes were used to identify journal excerpts in which students commented on sources in the following ways: summary, assessment, interpretation, connection with other information or personal experience, judgment, and reinforcement/challenge of preconceived notions. “After The London Riots, Prime Minister David Cameron wanted to censor social media, and ban rioters from communicating on these platforms. However, this did not pan out as well as he thought. So, it was back to the drawing board. In another one of Cameron’s plans, he wanted to censor emails, texts, and phone calls. According to the article, internet service providers would have to install hardware that would give law official real-time access to users emails, text messages, and phone calls. . . .
“This article focuses on the government trying to control what is posted on social media sites like Twitter, Facebook and YouTube. November of the last year, the Russian government created a law that would allow them to blog any internet consent they deemed illegal or harmful to minors. The only website to resist was YouTube which is owned by Google. They removed one video that promoted suicide, but wouldn’t remove a video that showed how to make a fake wound, because YouTube declared it was for entertainment purposes. While judgment and meaning making both require students to interact with sources and insert themselves into the conversation, they require rather different levels of critical thinking and self-awareness. With judgment, as illustrated by Student I above, students took a stand or made a claim, often in ways that promoted or reinforced rather than challenged their assumptions. With meaning making, on the other hand, as illustrated by Student H above, students attempted to interpret, clarify, and probe sources. These are different ways of interacting with information. The latter requires a greater degree of critical awareness and self-reflection on the part of the researcher and, therefore, denotes higher order digital literacy. Process codes were used to identify journal excerpts in which students described their steps, as well as their metacognitive reflection on those steps. They included searching strategies and behaviors, organization, source selection, information availability, use of assigned digital tools (i.e., Google Docs, WordPress, and Prezi), information needs, next steps, and collaboration with their peers. “For awhile, the only type of research [name redacted] and I had done was through Google. While this was extremely helpful in gathering information and background facts about the censorship in Russia, we thought it was important to ensure we got some information scholarly sources. Using the Trexler Library website, we searched multiple databases searching for information on cyber censorship in Russia. We used information we found in the articles on Google to get more information into our search. The student provided insight not only to her awareness of her information needs, but also how her past research experiences were shaping her current work. She also recognized her ability to overcome obstacles and the intellectual rewards of doing so. Many students described their steps to organize their sources and their work. In robust journals, some also reflected on the ways their organizational practices helped or hindered their effectiveness in managing information and their project. The examples below illustrate this important contrast. “The most difficult part of this project was definitely the research process—I had trouble with the organization of information. I often go overboard in my research process, gathering more information than I need. Sometimes I go so far in depth that I have trouble keeping things straight in my head (even if these things are written down, it’s hard for me to retrieve the information in my brain because I get jumbled and confused due to the abundance of information). So, although organization was the most difficult, this process helped me find ways to organize information in an efficient and helpful manner. Students in robust journals demonstrated more awareness and understanding of their processes. We also saw more evidence of students’ description of and reflection on more inherently metacognitive themes such as identification of their information needs, charting of their next steps, and rationales for the selection of information sources. The excerpts below show the reflection intrinsic in these areas. In limited journals, then, we saw students engaged primarily with specific tools and practices. In robust journals, by contrast, we saw students negotiating the bigger picture of their project. These students reflected on their choices, discussed their place in the project and in the larger information ecosystem, and generally moved toward more analytic thinking. Such awareness and reflection are crucial to digital literacy development. When we first implemented this assignment, we noted that students lingered most comfortably in information-seeking mode and struggled with critical analysis and comprehension of the information they were gathering. Recall that our purpose was to integrate and implement digital tools in ways to help students move beyond information-seeking mode to adopt more critical analytic habits and more advanced digital literacy practices. We were especially interested in the possible uses of digital technologies and pedagogies to help demystify research practices for students so that they might identify as researchers. Our goal was to leverage the collaborative, social, and public affordances of digital tools to make research practices more visible. In this iteration, then, we examined journals for instances where students explicitly located themselves within their research and identified themselves as engaged in and driving their research processes. We also included moments where students conveyed their feelings about their research processes—in short, their affective response. Because we emphasized both the process and product of student research, it was important to pay attention to students’ subjective experiences along the way. We structured the assignment to empower students’ digital literacy practices. As discussed above, students did describe feeling more organized and less overwhelmed with this research project compared to prior experiences. However, we found very little evidence of students overall using their journals to reflect on their identities as researchers. There were little or no differences between robust and limited journals in this category. We did see a difference in students’ remarks concerning their research paths and next steps, though. Students who produced robust journals more often voiced where they were in their research and where they were headed. In this way, they conveyed a sense of self-direction and control over their work. Students occasionally reflected in their journals about how they were feeling about the research project. This was true in both robust and limited journals. The following excerpts illustrate such instances of affect. We are wary of conflating students’ affective statements about their research with self-conscious identification as researchers. We do think it is important, though, to note these instances as part of the meaning-making process. The journal provided space for students to give voice to what it feels like to practice research, thereby making public what often remains hidden in undergraduate research. Research practices are situated in environments, both online and offline. One of the most important choices students make about their research is where it takes place. Our assignment asked students to be attentive to the “spaces” of their research. We asked students to focus on space in the first journal post by reflecting on, describing, and providing photos of their ideal research environments. Our aim was to encourage students to develop awareness that research is situated in contexts and that, to certain degrees, students can make choices that shape where research happens. When students reflect on the place of their research, they locate themselves in place as researchers. There was no difference between robust and limited journals in this category of reflection. Student M’s lack of anxiety stemmed from her ability to control the place and pacing of her research. The excerpt conveys her thoughtfulness about where and when she was doing research. Moreover, it shows her enthusiasm and intention to meaningfully develop her research to benefit her own learning as well as her peers’ learning. Rather than being adrift in a vast sea of information, wading through sources, an awareness of research as situated helps anchor digital literacy practices. While we understand affect and place as indicators of students’ awareness of themselves as agents within a research activity, there are notably few instances in students’ journals where they explicitly identify themselves as researchers. The following remarks illustrate this infrequent theme. Beyond research “skills,” our assignment hoped to promote the development of students’ metacognitive awareness of their abilities to effectively engage in research activities using various digital technologies. This includes identifying paths and next steps. When students described their current and future research paths they were locating themselves in the research. Students did not use their journals to explicitly reflect on their development as researchers, but they did frequently identify in detail plans to advance their research. This occurred more frequently in robust than limited journals. In these posts, and others like them, students conveyed awareness of where they were in their research processes. They commented on the value and limits of their current searches and sources. They suggested what they needed to do or find next to advance their projects. Often in these posts, they articulated next steps in response to a particular limit or gap in knowledge that they had identified. Such reflection indicates to us an awareness of research as an iterative process, where a student can connect their current information seeking and analysis to their future activities. Our analysis guided us to make further assignment revisions for fall 2015. (See Appendix B for the revised assignment.) First, it was clear from our analysis that there was opportunity for us to increase the transparency of the project goals and purposes. We were more intentional in articulating these goals both in the written instructions and in our class discussion of the assignment and its elements. We spoke with students about the value of metacognition and our attempt to direct and focus their awareness in the research process. Second, we recognized that students who used the guiding questions were able to dig deeper and demonstrated stronger learning outcomes. Therefore, not only did we more emphatically urge students to employ the prompts in their journals in fall 2015, we also added new prompts and organized them in two categories (content and process) to better motivate their metacognitive awareness. The table below shows the revised prompts. Describe the source. What led you to this source(s)? Why does this source matter? What questions does the source raise for you about your research process? What questions does the source raise for you about the subject matter? Where does this source lead you next? How does the source contribute to other knowledge or connect to other information? How is the environment of your research impacting your work? How are you using digital tools to promote your development as a researcher? What voices or perspectives does the source include? exclude? Take stock of your progress to date. How does it look to you, from a bird’s eye view? Finally, we saw that students who published to their journals inconsistently also demonstrated a lack of engagement with sources and reflection on process. We therefore modified the assignment to make consistent pacing a formal expectation for the project and included it in the evaluation rubric. (See Appendix C for rubrics.) By making this change, we made the benefit of pacing extended research projects more transparent to students. Our future analysis will consider the impact of these changes on student learning outcomes. The rapid growth of digital technologies and their integration in higher education is spurring conversation about what it means to be literate in the digital age. On a number of liberal arts campuses across the US, educators are asking, what does “the digital” mean for liberal arts education (Thomas 2014)? Some are now speaking of the Digital Liberal Arts (Heil 2014). Our case study contributes to a growing interest in understanding what digital literacies look like and how these abilities and practices can be developed to enhance learning in the liberal arts. In our work, we saw students grappling with and frustrated by the challenges of information overload online and offline. While information overload may be an issue, it is a well-worn tendency to blame technology for young people’s deficiencies as learners and citizens. As educators, we must design digital pedagogies that create opportunities for students to navigate this complex environment. The digital pedagogies we are developing begin by shifting the locus of agency from technology back to our students, empowering them to manage the multiple contexts of information they traverse in their learning. By integrating digital tools in research projects that foreground pacing, metacognition, and process, we can help students develop their agency and identities as researchers. This agency is central to what it means to practice digital literacy. For additional discussion of digital literacy, information literacy, and media literacy conceptualizations, see Jarson (2015). Association of College and Research Libraries. 2016. “Framework for Information Literacy for Higher Education.” Last modified January 11. http://www.ala.org/acrl/sites/ala.org.acrl/files/content/issues/infolit/Framework_ILHE.pdf. Carleton College. 2016. “Why Use Undergraduate Research?” Pedagogy in Action: Connecting Theory to Classroom Practice. Last modified November 14. http://serc.carleton.edu/sp/library/studentresearch/Why.html. Fister, Barbara. 2015. “The Liminal Library: Making Our Libraries Sites of Transformative Learning.” Keynote address at the Librarians’ Information Literacy Annual Conference, Newcastle upon Tyne, United Kingdom. http://barbarafister.com/LiminalLibrary.pdf. Fluk, Louise R. 2015. “Foregrounding the Research Log in Information Literacy Instruction.” The Journal of Academic Librarianship 41 (4): 488-498. doi:10.1016/j.acalib.2015.06.010. Harness, Jill. 2015. “How to Deal with Information Overload.” Lifehack. Accessed September 24. http://www.lifehack.org/articles/productivity/how-deal-with-information-overload.html. Head, Alison J. 2013. “Learning the Ropes: How Freshmen Conduct Course Research Once They Enter College.” Project Information Literacy, December 5, 2013. http://www.projectinfolit.org/uploads/2/7/5/4/27541717/pil_2013_freshmenstudy_fullreportv2.pdf. Head, Alison J., and John Wihbey. 2014. “At Sea in a Deluge of Data.” Chronicle of Higher Education. July 7. http://chronicle.com/article/At-Sea-in-a-Deluge-of-Data/147477/. Head, Alison J., and Michael B. Eisenberg. 2010. “Truth Be Told: How College Students Evaluate and Use Information in the Digital Age.” Project Information Literacy. November 1. http://www.projectinfolit.org/uploads/2/7/5/4/27541717/pil_fall2010_survey_fullreport1.pdf. Heil, Jacob. 2014. “‘Defining’ Digital Liberal Arts.” Digital Projects and Pedagogy: A Digital Projects Initiative of The Five Colleges of Ohio (blog). March 22. http://digitalscholarship.ohio5.org/2014/03/defining-dla/. Hemp, Paul. 2009. “Death by Information Overload.” Harvard Business Review 87 (9): 82-89. Jarson, Jennifer. 2015. “Versus / And / Or: The Relationship Between Information Literacy and Digital Literacy.” ACRLog. October 20. http://acrlog.org/2015/10/20/versus-and-or-the-relationship-between-information-literacy-and-digital-literacy/. Lanaria, Vincent. 2015. “WordPress Is So Big 25 Percent Of All Websites In The World Run On It.” Tech Times. November 9. http://www.techtimes.com/articles/104519/20151109/wordpress-is-so-big-25-percent-of-all-websites-in-the-world-run-on-it.htm. Livingston, Jennifer A. 1997. “Metacognition: An Overview.” State University of New York at Buffalo, Graduate School of Education. http://gse.buffalo.edu/fas/shuell/cep564/metacog.htm. Lopatto, David. 2010. “Undergraduate Research as a High Impact Practice.” Peer Review 12 (2). https://www.aacu.org/publications-research/periodicals/undergraduate-research-high-impact-student-experience. Lovett, Marsha C. 2008. “Teaching Metacognition.” Paper presented at the Educause Learning Initiative Annual Meeting, San Antonio, Texas, January 29. http://net.educause.edu/upload/presentations/ELI081/FS03/Metacognition-ELI.pdf. National Association of Media Literacy Education. 2017. “Media Literacy Defined.” National Association of Media Literacy Education. Accessed April 10. http://namle.net/publications/media-literacy-definitions/. Shenk, David. 1997. Data Smog: Surviving the Information Glut. Rev. ed. New York: HarperCollins. Shin, Laura. 2014. “10 Steps to Conquering Information Overload.” Forbes. November 14. http://www.forbes.com/sites/laurashin/2014/11/14/10-steps-to-conquering-information-overload/. Tattersall, Andy. 2015. “How to Cope with Information Overload.” CNN. May 13. http://www.cnn.com/2015/05/13/opinions/surviving-information-overload/. Thomas, William G., III. 2014. “Why the Digital, Why the Digital Liberal Arts?” Lecture at Digital Liberal Arts Initiative at Middlebury College, Middlebury, Vermont, December 8. http://railroads.unl.edu/blog/?p=1149. Trexler Library, Muhlenberg College. 2010. “Trexler Library Statement on Information Literacy.” Last modified February. http://trexler.muhlenberg.edu/about/policies/information-literacy.html. Vulliamy, Ed. 1996. “If You Don’t Have the Time to Take In All the Information in this Report You Could be Suffering from a Bout of Information Fatigue Syndrome.” The Guardian, October 15. Note: Appendix materials appear as the original, unmodified versions submitted to students in 2014 and 2015. This assignment puts students in the driver’s seat by asking you to collaboratively research the state of internet censorship in a specific country and report out to the larger class on your findings. This assignment moves beyond the borders of our local experiences to situate questions about censorship, surveillance, and privacy in a global context. This project extends beyond the borders of our class and relies on critical partnerships with Jen Jarson, Social Sciences Librarian at Trexler Library, and Tony Dalton, Digital Cultures Media Assistant, who are contributing their respective areas of expertise to enrich the learning activity and experience. This assignment has been collaboratively developed with Jen and aims to integrate deeply the digital literacy practices that are central to our learning goals this semester. Additionally, Tony will be visiting class to make sure you have the support necessary to develop the digital literacy skills necessary to work with WordPress and Prezi platforms. Classifications: Hhow do various reports and organizations rate or rank the country in terms of iInternet freedom? Consult multiple sources for this information, for example: Reporters without Borders’ “Enemies of the Internet” and “Countries Under Surveillance,” Freedom House’s “Freedom on the Net,” OpenNet Initiative, etc. Censorship: What is the nature of iInternet censorship in the country you are researching? Political, social, other? What are the laws pertaining to iInternet censorship? What sanctions are in place to punish citizens who violate country censorship laws? Surveillance: What is known about the state of iInternet surveillance in the country? What particular forms of iInternet based surveillance are employed by the government to monitor online activities of citizens? What online activities are most targeted? Advocacy: What local or international efforts are focused on protecting iInternet freedom in the country? Are there particular examples or cases that have been rallying points for advocacy to protect access to information and the iInternet? First journal entry prompt (due October 23): What does your ideal research environment look like, what does it include, what does it sound like? And why? Post an image (or images) and your reflection on these first steps. What led you to this source(s)? Last journal entry prompt (due November 20): Post a photo from your class presentation and reflect on your presentation as the culmination of your research project. What do you think was effective and why? Overall, what was the biggest challenge of this project for you? More than just a 10 minute delivery of information, your presentation—delivered with Prezi—should demonstrate clear ideas about and a thorough understanding of issues of censorship and surveillance in your specific country. Depth of knowledge, accuracy, and interest of information, are all essential to a compelling presentation. Your presentation should pay close attention to your audience—make eye contact, consider pacing and flow of presentation, use images and multimedia effectively to keep audience engaged. Images, videos, links should be integrated to enhance your presentation but they should not comprise the entire presentation. Videos can add to a presentation, but remember that the presentation is your own original take on the issues at hand: don’t include a 5 minute video of someone else talking on your topic. Rather, use clips selectively and to serve your main points. Proofread carefully to ensure there are no spelling or grammatical mistakes. It’s your choice whether to provide handouts with your presentation. If you do, make sure they are integrated into your presentation and serve a clear purpose, not just information overload. * adapted from the Trexler Library statement on information literacy with assistance from Jennifer Jarson. This work is licensed under a Creative Commons Attribution-NonCommercial-ShareAlike 4.0 International License (http://creativecommons.org/licenses/by-nc-sa/4.0/). This assignment puts students in the driver’s seat by asking you to collaboratively research the state of internet censorship in a specific country and report out to the larger class on your findings. This assignment moves beyond the borders of our local experiences to situate questions about censorship, surveillance and privacy in a global context. Classifications: how do various reports and organizations rate or rank the country in terms of internet freedom? Consult multiple sources for this information, for example: Reporters without Borders’ “Enemies of the Internet” and “Countries Under Surveillance,” Freedom House’s “Freedom on the Net,” OpenNet Initiative, etc. Censorship: What is the nature of internet censorship in the country you are researching? Political, social, other? What are the laws pertaining to internet censorship? What sanctions are in place to punish citizens who violate country censorship laws? Surveillance: What is known about the state of internet surveillance in the country? What particular forms of internet based surveillance are employed by the government to monitor online activities of citizens? What online activities are most targeted? Advocacy: What local or international efforts are focused on protecting internet freedom in the country? Are there particular examples or cases that have been rallying points for advocacy to protect access to information and the internet? 2. An individual Photo Journal where you will document your research process and practices. Although you are researching collaboratively, the journal is your individual representation of the process as you experience and construct it. The Photo Journal is created in WordPress and includes photos, images, drawings, screen shots, and narrative text and captions that take the viewer behind the scenes of your research process. Think of this as “the making of” your project, uncovering the questions and thinking behind your project, and documents the “what, why, where, and how” of the research you are producing. Each student will create their own WordPress blog as the platform for the Photo Journal. During the course of the project, you will document and reflect on your research in a minimum of 10 posts. (Individual points.) Your photo journal should attempt to creatively represent your research process, in images and text, represent your research process. More than mere illustrations of the content you are working with, the photo journal should document the work itself, what you are doing and thinking to advance your project. What does your ideal research environment look like, what does it include, what does it sound like? And why? Post an image (or images) and your reflection on these first steps. Eight journal entries are due between November 10 and December 7. Post 2-3 times per week, each week, as your research evolves over time. This project cannot be undertaken at the last minute. We’re trying to uncover and support your research processes and pathways and your awareness of those processes. The following prompts will help kickstart your reflections. There is no order to these prompts or limit to how often you can use or adapt them, but your entries should include a balanced mix of “content” and “process” reflections. Last journal entry prompt (due December 11): Post a photo from your class presentation and reflect on your presentation as the culmination of your research project. What do you think was effective and why? Overall, what was the biggest challenge of this project for you? See Appendix C for rubrics. * Association of College and Research Libraries, Framework for Information Literacy for Higher Education, http://www.ala.org/acrl/standards/ilframework. Accesses a relevant and diverse pool of information sources. Annotations demonstrate interpretation and evaluation of selected sources using multiple criteria (such as relevance to the research question, currency, and authority). As appropriate: uses citations and references; paraphrases, summarizes, and/or quotes information; uses information in ways true to the original context; distinguishes between common knowledge and ideas requiring attribution. Document is fully hyperlinked. Effectively documents in images research processes and paths. Provides evidence of thoughtful reflection about research processes and paths. Demonstrates sustained engagement in research process throughout project. Defines scope of the research and determines key concepts. Demonstrates critical evaluation of information using multiple criteria (such as relevance to the research, currency, authority, etc.). Communicates, organizes, and synthesizes information from text and image sources effectively. Intended purpose is achieved. As appropriate: uses citations and references; paraphrases, summarizes, and/or quotes information; uses information in ways true to the original context; distinguishes between common knowledge and ideas requiring attribution. Delivery is paced appropriately for a 10-12 minute presentation and is well-practiced. Speaks clearly. Presenters wWork in complement to each other, such that presentation is delivered collaboratively. Attentive to the audience and uses a purposeful structure to organize presentation. Tells story in a compelling way. Lora Taub-Pervizpour is Professor of Media and Communication and the Associate Dean for Digital Learning at Muhlenberg College. She teaches courses on documentary research, new media literacies, new information technologies, and youth media. As associate dean, her focus is on developing initiatives in digital learning that value and amplify student voice and empower faculty and students to build a meaningful digital presence. Jennifer Jarson is the Information Literacy and Assessment Librarian at Muhlenberg College. She is an ardent advocate for the role of libraries and librarians in advancing teaching and learning excellence. Her research interests include information literacy pedagogy and student learning assessment, as well as issues regarding communication, collaboration, and leadership.